Making sure your MRI experience a calming and comfortable one. 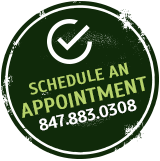 Since its inception, Corporate Woods Open MRI has become a model of excellence in the diagnostic industry. The company maintains primary in-house functions of administration, human resources, insurance contracting billing and collections. With “state of the art” Open MRI systems, advanced technology, exceptional patient care, and unparalleled service to the physician, Corporate Woods Open MRI is setting new standards in MRI care, becoming synonymous with the finest in “out-patient” medical imaging. Patients and their doctors have come to rely on our highly-skilled staff, outstanding customer service and state-of-the-art technology. Corporate Woods Open MRI is committed to providing you with all of these things so that your MRI exam can go as smoothly as possible, with the highest quality diagnostic imaging available anywhere. Corporate Woods Open MRI is proud and privileged to announce our new MRI Coordinator, Mary Peterson, who comes to us from Lake County Medical Society where she served as the Administrative Assistant to the Executive Director, Jane Stein for 31 years. Corporate Woods Open MRI was founded in 2000. We offer the highest quality diagnostic imaging services, and base our success on our ability to treat our patients with dignity and respect.